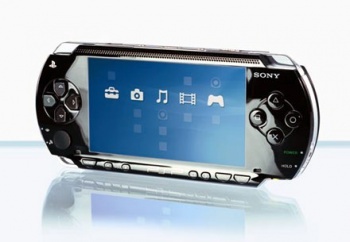 PSP2 will be the first truly first HD handheld, claims an anonymous source. The rumors about the PSP2 keep coming thick and fast. Yesterday came the news that Sony would make an announcement about the handheld on January 27th, and today we learn that it could be in stores as early as October. The rumor comes from an anonymous, "high-level" source, who said that Sony had already consulted with publishers about release windows and getting content ready for the device. Apparently, Sony hopes to capture gamers' attention by being the first company to offer genuine high-definition portable gaming. This would align nicely with previous rumors that Sony planned to give the device the comparative power of a PS3. Sony is said to have specifically asked publishers and developers for rich, deep content in order to differentiate it from cell phone gaming. The source also said that while gamers would be able to download games to the PSP2, it would also make use of physical media in order to keep retailers in the loop. Interestingly, this information conflicts with rumors from last month, which said that the device would be download only. At this point, it seems pretty likely that the PSP2 does exist, and a mid/late fall release date seems pretty plausible. It's a little harder to believe that it will be some kind of pocket PS3, but it certainly isn't impossible either, especially if Sony is indeed trying to snare gamers with graphics.